I have to admit that all the books I read this month were really good.. including this one! David Bell has turned into a writer that I enjoy. I've read a number of his books and they all are good reads! 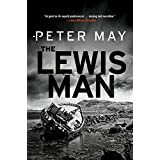 ok... so this Peter May series that begins with The Blackhouse, and takes place in the Hebrides Islands (Lewis Island) off of Scotland are just and outstanding trilogy!! This one, although I liked it would be my least favorite. Book 3 of the Peter May trilogy. I wish it wasn't over the characters and the Island are all fascinating even if the story is fiction! I got a bit lost in this book. As I age I can't keep track to too many characters! lol.. but still a good mystery! When Harriet Vane attends her Oxford reunion, known as the Gaudy, the prim academic setting is haunted by a rash of bizarre pranks: scrawled obscenities, burnt effigies, and poison-pen letters, including one that says, "Ask your boyfriend with the title if he likes arsenic in his soup." Some of the notes threaten murder; all are perfectly ghastly; yet in spite of their scurrilous nature, all are perfectly worded. And Harriet finds herself ensnared in a nightmare of romance and terror, with only the tiniest shreds of clues to challenge her powers of detection, and those of her paramour, Lord Peter Wimsey. Basically we have a mystery at Oxford, seemingly based around the dons. (all women). I easily admit I am not the brightest bulb in the pack and it took me a while to get into this book. A good part of the first half of the book was beginning to feel like it was overwritten.. a lot to do about not a big deal. 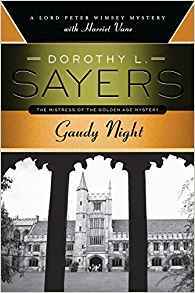 But the second half of the book perked up, especially when Lord Peter Wimsey entered the story. It seemed to be a number of minor stories going on and so I found myself lost a number of times. But in the end I have to say I did enjoy the book. 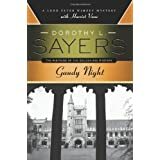 I like the character of Wimsey, and I think I would have liked Harriet more had I read other books by Sayers. Of course the ending is one you didn't really see coming... but then that's what a good mystery is about.. not knowing the ending before it happens! Another moment to admit that Oxford would not have been for me! lol. Brilliance abounds with the dons but I really didn't feel that "doing what they loved" made them happy people... I found that odd. So.. onward and upward to another good book... I hope! 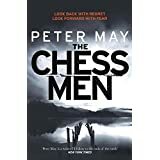 The Chessmen by Peter May. What a really good trilogy! Love our protagonist, Fin, and all the characters we meet along the way. Even by the end of book one you feel you know Fin, but learn more about him with each book. The atmosphere is phenomenal! In the first two books you feel you've stepped back in time. The Chessmen I had a little more feeling of "more recent". But no matter what Peter May writes a great story! As in the other books there has to be a death or a body.. or both! This time I had some moments where I felt it was being stretched out a bit... but he sure makes up for it in the last 80 pages!! I certainly learn things when he writes also... never heard of a "bog burst"! But then again until my second life here in Florida I had not known of sink holes! So there ya go lol. I think I tried to read the Chessmen a little slower because I didn't want it to be the last I'd read with these characters. To sum it up I would say that anyone who likes mysteries and plenty of atmosphere will not be disappointed in this trilogy! 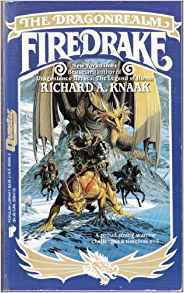 Legends of the Dragonrealm: Firedrake by Richard A Knaak. Book 1 contains 3 books: the first being: Firedrake: 234 pgs. A 700 page book holding 3 books in one. Firedrake wasn't the greatest for me. It seems any time someone writes about Dragons that can shape-shift and that hate humans I just can't really enjoy the story. In general they all seem to have the same basis. This book did have a few side characters that I did liked, and a number of "odd" creatures not usually used, and so I had no trouble reading the story. Also, the humans that had magic were written well. I find myself wondering if I might have liked this better had I not come off of a book I had enjoyed a lot . Sometimes the next book never lives up to the one I just finished. 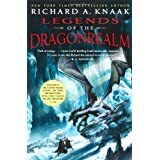 The world building was good, but I am not sure that I will go on to read the next book called The Ice Dragon. 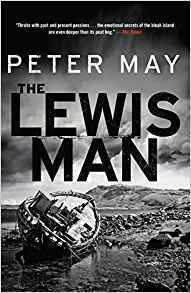 In The Lewis Man, the second book of the trilogy, Fin Macleod has returned to the Isle of Lewis, the storm-tossed, wind-scoured outer Hebridean island where he was born and raised. Having left behind his adult life in Edinburgh--including his wife and his career in the police force--the former Detective Inspector is intent on repairing past relationships and restoring his parents' derelict cottage. His plans are interrupted when an unidentified corpse is recovered from a Lewis peat bog. The only clue to its identity is a DNA match to a local farmer, the now-senile Tormod Macdonald--the father of Fin's childhood sweetheart, Marsaili--a man who has claimed throughout his life to be an only child, practically an orphan. Reluctantly drawn into the investigation, Fin uncovers deep family secrets even as he draws closer to the killer who wishes to keep them hidden. I read Peter Mays first book of this trilogy in October of 2013. I loved the book. I really liked the main character, Fin, and the authors descriptions of the Isle of Lewis and surroundings made you feel like you stepped into a third world and put you smack dab in the middle. Due to rising prices of hardback books I thought I would go no farther. It seemed his second book, The Lewis Man was more then I have come to spend on a single book anymore. In order to stretch finances I buy mostly used books and find that many people take excellent care and they are like new. Anyway... along comes my birthday and my girlfriend Michelle sends me two books. New books! And one of them is: The Lewis Man! My first thoughts were, utoh... it's been a looooong time since I read the Blackhouse I wonder if I can read this without rereading The Blackhouse? Peter May put me at ease quickly. He put just enough small reminders that I didn't feel like it was that long ago that I read book one. I was right back there on the Isle of Lewis with Fin! 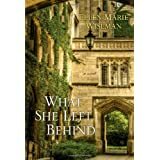 In this book there is a "cold case", a mystery, and a budding romance of the past. 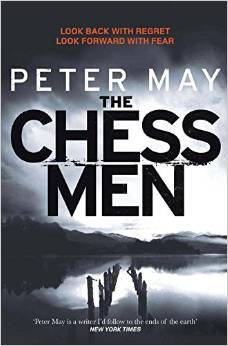 Peter May puts very original twists on his mysteries. 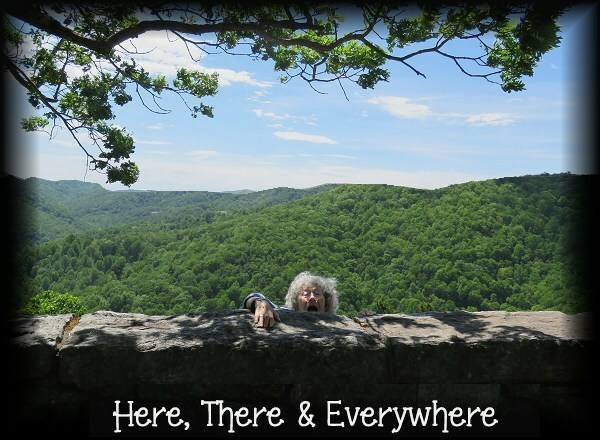 He's so descriptive that you have no doubt you can "see" what is happening and the sights around you. 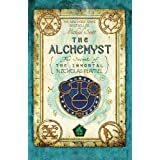 I had no choice but to send for the last book! 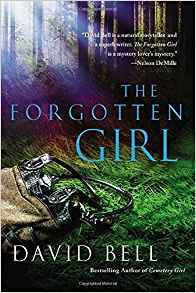 "It's strange.. you think you know who you are, because you think you know who your parents are.."
The Forgotten Girl by David Bell. 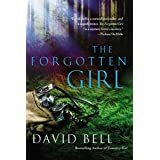 I have read a number of books by David Bell, including: Never come Back, Cemetery Girl, The Hiding Place and now, The Forgotten Girl. He is a very good story teller! I've enjoyed all the books I've read by him and even waiting for July for yet another book to come out. This particular book I wasn't really sure of, because it was a more modern then most I like to read, but I should have known better. Once the characters grab you and you can tell there are "secrets" to be revealed, it becomes a page turner. And as any good story teller he leaves a few surprises for near the end of the book. I'm looking forward to his next book .. and glad each story is different from the others.